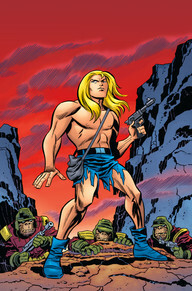 Honesty time, I really didn't know much of anything about Kamandi before this maxi series was announced. And to be even more honest I still don't know much about him! But I was really enticed by the premise of this book. Here's the deal: each issue, a different creative team spins a tale with each issue ending in a cliff hanger. In the subsequent issue, a new creative team has to resolve the cliff hanger and then create a new one of their own! Also, I loved that there was gong to be a tribute to Jack "The King" Kirby. If you don't know much about Mr. Kirby, then Let Me Google That For You. I felt this issue was a great start to the challenge and we actually get a treat in that there is actually a cliff hanger half way through this issue and then creative teams switch. One added treat is that the person who created the cliff hanger gets to explain how they would have resolved it after the next person gets a shot. Here, we get a nice intro and it pretty much jumps right into the fray out of the gate. You start to get a feel for the premise of Kamandi without getting all the answers up front. If you're a Kirby fan, there are lots of great elements that feel like Classic Kirby - from the story telling right down to the art. I thought each team did a great job with their homage while still putting their own spin on this universe. Here's a run down of the creative teams coming up! 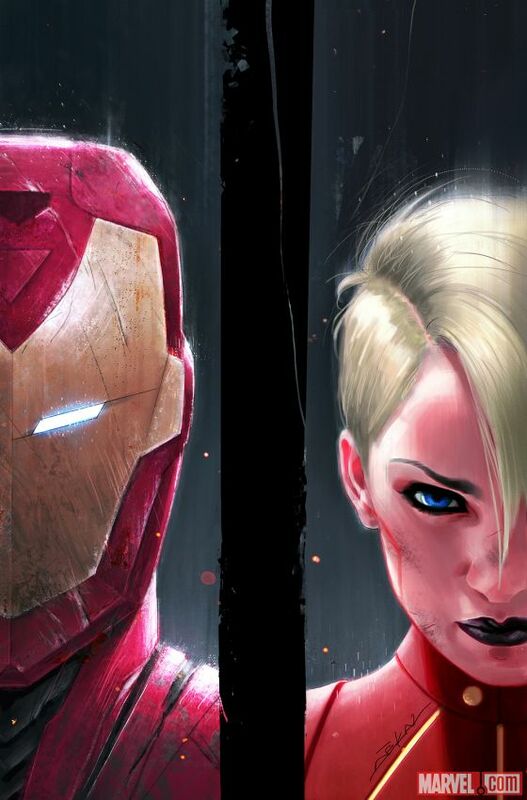 At this point it seems like most people would agree that Civil War II was not as compelling or gripping as the original. Where as in the original Civil War you may have struggled to decide which side you came down on, Civil War II pretty much presents you with a clear choice. However, now that the mini-series has concluded, we see a new side to the conflict. Captain America's side. The evil Captain America, mind you. The interesting thing about this one-shot is that you could read most of it from the perspective of your good ole red, white, and blue wearing, watch-your-language saying Captain America and you'd be none the wiser. But, the more you read on the more it comes clear exactly how Captain America plans to capitalize on this situation. They've created a great through-line from Civil War II to the upcoming Secret Empire. ​ Ep. 058 - 2017 MOVIES, THE LAST JEDI, & MORE! !